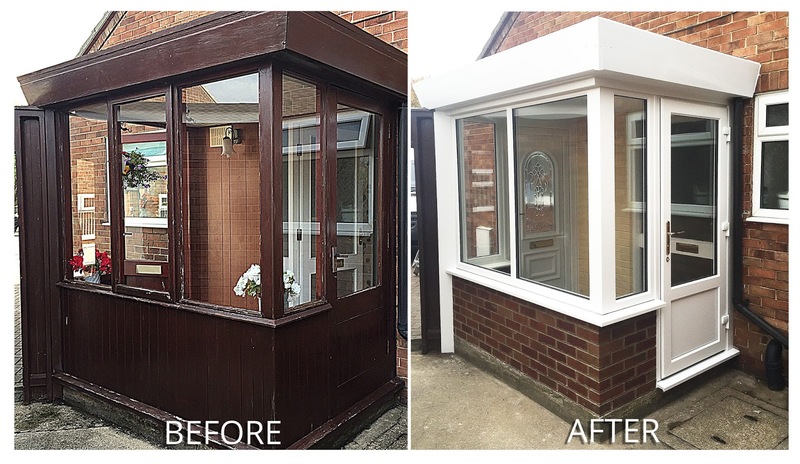 Beautiful Before and After of a run down, timber porch, transformed with unique fascia feature to resemble the existing saltmers porch, complete with high quality Rehau UPVC profile windows. 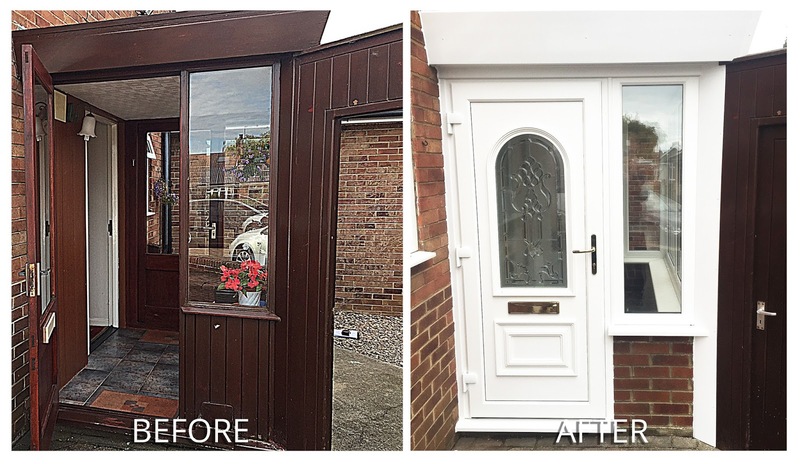 The front door is the elegant chichester design, featuring a long glass panel with an arched top, installed with the 'Cassiopeia' glass design. The door is finished off with high quality chrome fixtures and fittings. A simple UPVC backdoor is installed to the rear of the porch. Installing two doors to the front and rear of the installation allows easy access to the Garden and the driveway. Have you got a porch in need of renovation, you can visit our website on www.martonwindows.co.uk or call us on 01642 494950 for more information.